The Queensland election outcome was a big surprise for the Liberal party, but for a while it looked like they’d also lose out to Pauline Hanson in the seat of Lockyer. Leading at one stage, Hanson has now slipped back to be a couple of hundred votes behind the Liberal Party candidate (on around 12000 votes) but still leads Labour by some 600 votes. 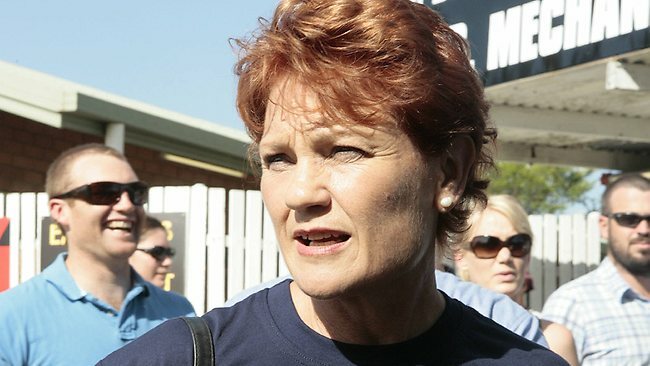 Hanson was hated by the left for her working class background and strong views on retaining Australia’s original culture. Ten years ago she was pelted with sacks of excrement and plastic bags of urine. She was strip searched and jailed. Good to see her making a comeback. Time has shown she was right in many of the things way back when the left carried out their hate campaign. Whatever your opinion on Hansen, she’s got guts and staying power.